Jim, As usual your blog delights. Months after the post, but – I am not certain that we can say that fairy tale films generally avoided political statements. The earlier part of this entry, that they were “less susceptible to political interpretation”, is more accurate. The idea of an aristocracy who rules badly and unfairly and a common folk who only wants to be able to earn fair wages for their work is both one that falls into the Protestant work ethic of the Grimms and into GDR sensibilities….. the fact that the “aristocracy” in these films might also be perceived as communist rulers was always a possible interpretation, but seldom managed to “stick”. Great post. Thanks Benita. Your own blog is off to a crackerjack start. Not all Märchenfilme avoided political statements, of course, but they were one of the safer genres for DEFA directors trying to keep from getting relegated out of movie-making. 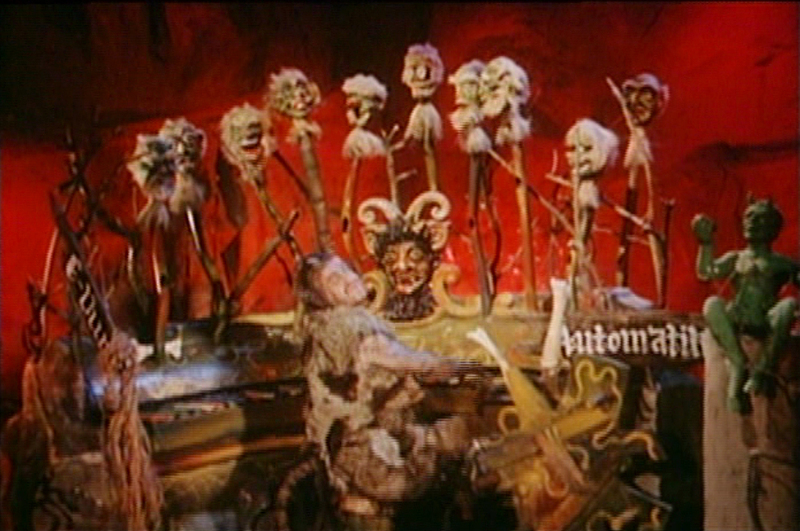 They weren’t completely safe, of course, Das Kleid (The Dress), which was based on The Emperor’s New Clothes, managed to get the authorities in the GDR riled up, but that was mostly because the filmmakers made the mistake of having a walled kingdom, not realizing when they began the film what was about to happen in Berlin.